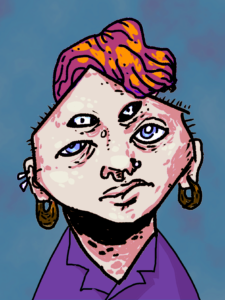 gillian blekkenhorst is a multi-media artist nerd working in comics and video games. They love post-modern ghosts and feelings, viewed indirectly at a safe distance. 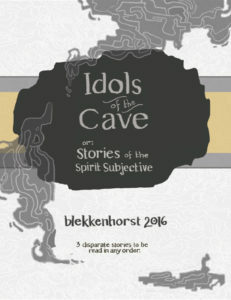 blekkenhorst has been publishing through the happy-go-lucky gang of ruffians known as friendship edition. 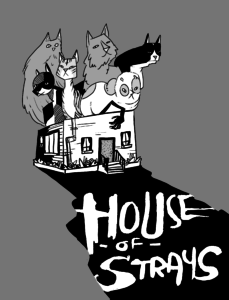 With this collective and alone, their work has been shown at TCAF, CAKE, Zine Dream and the Bristol Comics Festival, among others. 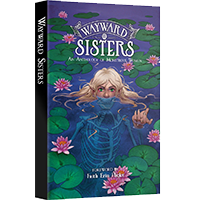 They have had stories featured in anthologies, including Sweaty Palms, You Approach A Dark Manor…, and Wayward Sisters. blekkenhorst also creates computer games. They are developing a point and click adventure engine in unity, but have also dabbled in gamemaker and the phaser html5 library. They are the programming half of the unfathomable siblinghood. meatspace store. metaphysical store. e-mail me.